/BigMIND /Getting Started /Policies /Users Management /How Can I Create Policies? From the menu on the left select Policies. 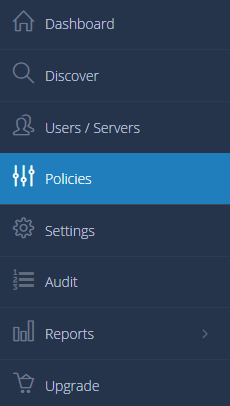 From the Manage Policies page, click the Create Policy button. For more details, please click on this article.